Emeritus Scientific Member of the Max-Planck-Society. Prof. Dr. Dr. h.c. mult. Friedrich Wagner was born on 16 November 1943 in Pfaffenhofen a.Z., Germany. After studying physics and taking his PhD at the Technical University of Munich in 1972, Wagner went as a postdoc to the Ohio State University, where he did research in the field of low-temperature physics from 1973 to 1974. In 1975 he joined Max Planck Institute for Plasma Physics (IPP) and was appointed Scientific Member of the Max-Planck-Society in 1988. From 1986 to 1990 he was head of the ASDEX tokamak experiment, from 1990 till 1999 project head of the Wendelstein 7-AS stellarator experiment and from 2003 till 2005 head of the « Wendelstein 7-X Enterprise ». From 1993 to 2005 he was member of the Directorate of IPP, from March 1999 till April 2007 Speaker of the Greifswald Branch Institute. Besides his institute commitments, Wagner was from 1996 till 2004 Chairman of the Plasma Physics Division of the European Physical Society and from 2007 till 2009 President of the European Physical Society. 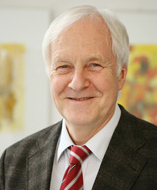 In 1988, Wagner qualified for lectureship at the Ruprecht-Karls-Universität Heidelberg, in 1991 he became Honorary Professor at the Technical University of Munich, and from 1999 till his retirement in 2008 he was Ordinary Professor at the Ernst-Moritz Arndt University in Greifswald. In 1987 Wagner was awarded the « Excellency in Plasma Physics » prize by the Plasma Physics Division of the American Physical Society, in 2007 the Hannes Alfvén Prize of the European Physical Society and in 2009 the Stern-Gerlach Medal 2009 by the German Physical Society. In 2013, he received the Physical Medal of the 1st Degree of the Czech Physical Society. Wagner is Honorary Member of the Ioffe Institute, St. Petersburg and Fellow of the Institute of Physics of the American Physical Society and received honorary doctorate degrees from the Belgian Royal-Military Academy and the Kyushu University in Japan. 2012 and 2013 Wagner was head of the « Research Laboratory of Advanced Tokamak Physics » at the Peter the Great St. Petersburg Polytechnic University. In the last years he studied the properties of an electricity supply system based primarily on intermittent sources.